8:00 – 9:00 PM – Zeyde’s Story Corner. 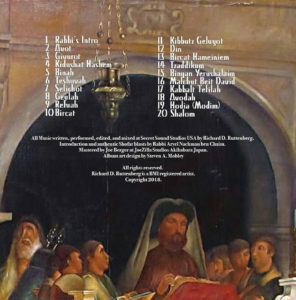 8:00 PM – Kabalat Shabbat Service. 10:00 AM – Shacharit and Musaf Shabbat Service – Achron Shel Pesach. First Torah: Deuteronomy 14:22 – 16:17. Second Torah: Numbers 28:19-25. Haftarah – Isaiah 10:32 – 12:6. This is a bit ahead of schedule, but circumstances have caused us to pull this announcement ahead of schedule. As part of the House of Seven Beggars Synagogue’s efforts to reach out to more Jews (keruv), we have embarked on a new broadcast network which will begin broadcasting programming on 30 Av 5778 (August 10, 2018). 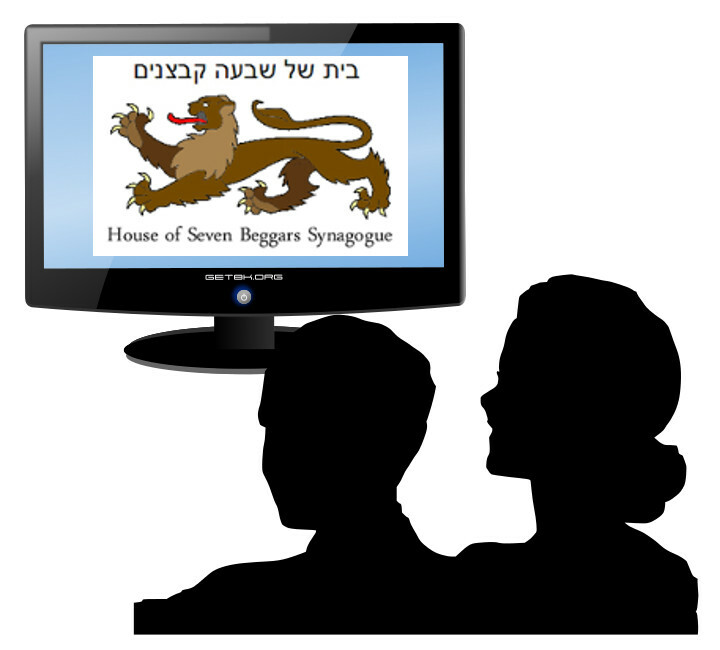 Keruv Media Network – KMN on You Tube will be the home of broadcasts for all House of the Seven Beggars Synagogue classes and services. In addition, KMN will also be bringing in other broadcasters of Jewish and keruv themed shows and programming. It is our aim to be a place where Jews can reconnect to their faith, but also a place where Jews of all ages can come for innovative and entertaining programming. Broadcasts will be a bit sporadic until after the High Holy Days, so I hope you will be patient and visit often. 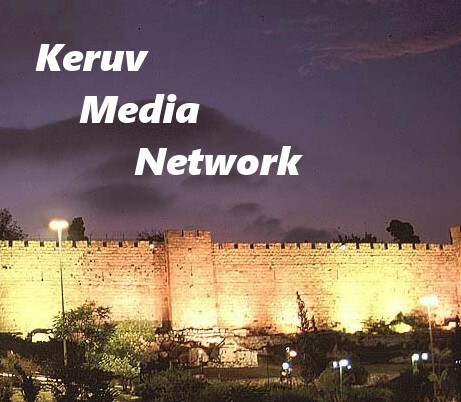 The Keruv Media Network website is in the process of being built, and as soon as it is up and running you will be able to see who is coming on board and what programming will be offered. You will also be able to subscribe to the weekly broadcast schedule which will be delivered directly to your email. There was once a prince who took ill and decided he was a turkey. Stripping off his clothes, he crouched naked under the royal table, refusing to eat anything but crumbs which had fallen to the ground. The king was greatly upset. Many doctors were called to the palace to examine the prince but none could offer a cure. One day a wise man came to the king and said, “Let me live in your home that I might befriend your son. Be patient and I will make him well again.” Immediately the sage approached the royal table, stripped off his clothes and sat down naked next to the prince. “Who are you and what are you?” demanded the king’s son. Some weeks passed. 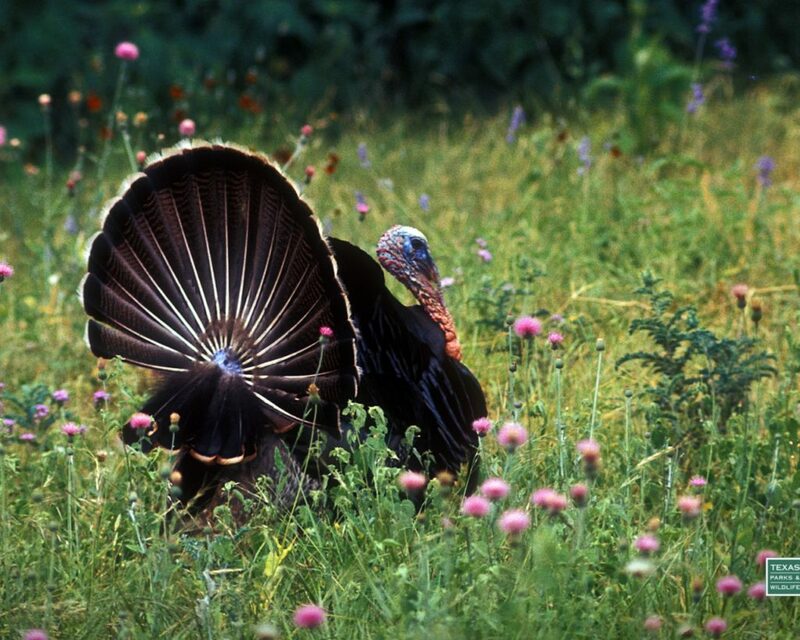 The “turkeys” grew accustomed to each other and soon became good friends. They ate crumbs, drank from tin plates and discussed the advantages of being domesticated birds rather than men. One night, when the royal family was having dinner, the wise man signaled to the king, whose servants brought two silk robes and cautiously placed them under the table. The sage quickly donned one of the robes and before the king’s son could utter a word proudly announced, “There are some dumb turkeys who are so insecure that they believe putting on a silk robe might endanger their identity.” The prince thought for a moment, nodded his head and began to clothe himself. This Thursday we will celebrate Lag B’Omer. This is a day that we suspend the strictures that are observed during the counting of the Omer, which started on the second day of Pesach. We will sing and dance, people will get married, boys of three will get their first haircut, many of us will also get out hair cut, and many will have cookouts and bonfires. It is my desire that every Jew, everywhere will have much joy as they celebrate the day. And speaking of “every Jew, everywhere” …. The Talmud tells us that Rabbi Akiva had 12,000 pairs of students that died during the counting of the Omer because they did not treat each other with respect. Among the students was a Shimon bar Yochai, who was among, and some say the only, survivor of the plague. We are also told that Shimon bar Yochai survived the plague because of his great love of all Yisrael and his refusal to engage in lashon hara against any of them. Because of this, Rabbi Shimon bar Yochai was blessed to receive the mystical teachings that are generally known as Kabbalah. Today, there is so much strife, dissension and discord among our people. This group doesn’t like that group. This group says the others are not “Real Jews”. This group says the others are lairs, oppressors, fanatics, fools, and just about every single disparaging remark and label one could utter about another. 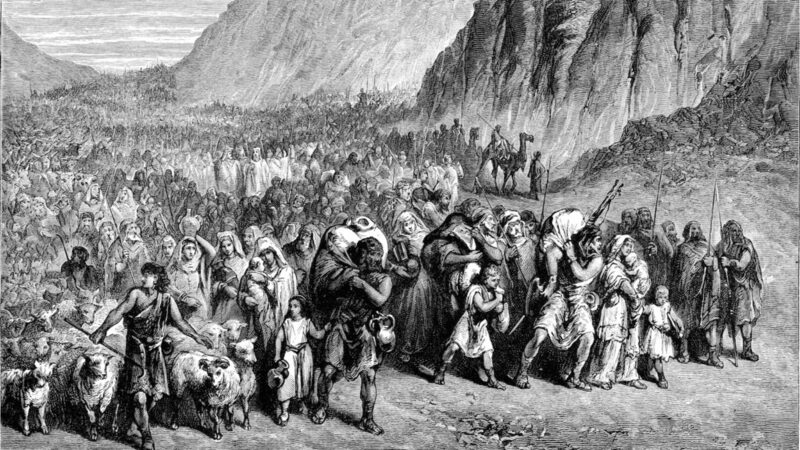 It seems that we learned nothing from the plague that ravaged the students of Rabbi Akiva! Every Jew is holy. Regardless of how far from the path they have strayed, they remain a holy spark that is precious to HaShem. How can we find it in our heart to cast away what HaShem finds dear? 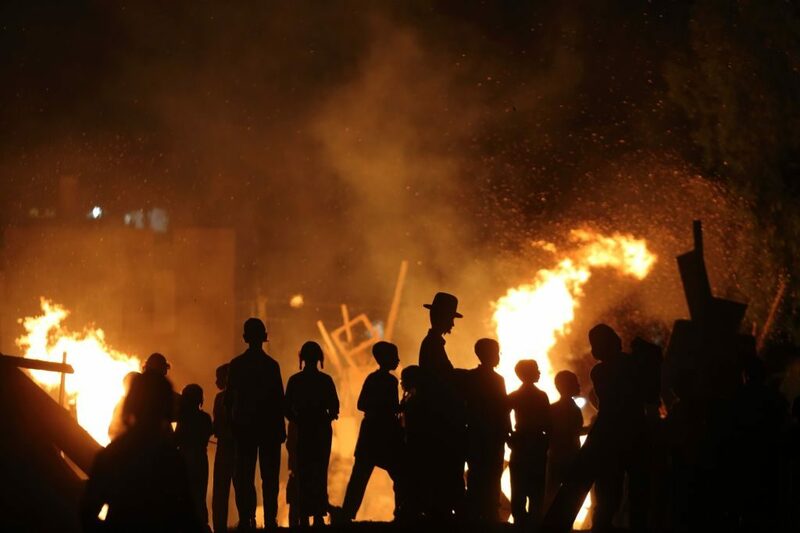 Have a wonderful and meaningful Lag B’Omer filled with family, friends and much joy! And Love every Jew! From Slavery to Freedom – The Ritual of Passover Cleaning. I got up this morning and realized that … I am getting old! Two weeks of Pesach cleaning has left he tired and every muscle aching. As I dragged my body out of bed I think “First things first.”, dress, tallit, tefillin and shacharit, and then (maybe) I can face another day of lifting, pushing, pulling, washing and rearranging; right after coffee that is. And still, the Pesach dinner still has to be planned and prepared! OY, I can’t even think about that right now, it will have to wait. While I am getting ready, taking out my siddur, tallit and tefillin, I am thinking about the cleaning and bewailing my situation, ok, kvetching about it! As I am checking my tzitziyot the phrase from the Haggadah pops into my head “… from slavery to freedom.” I put on the tallit and wrap the tefillin and as I am trying to concentrate on the prayers, it keeps buzzing around in my head “… from slavery to freedom.” OK, this is just getting annoying! I have prayers to do, a client meeting to conduct and then I have to get back to the drudgery of cleaning …. Ugh! For years I have made a point of telling people that they have to infuse the Pesach Seder with meaning, so that we can somehow experience what our ancestors experienced. Make the Seder come alive by telling the story of the Exodus, not to just drone on through the Haggadah. So, back to cleaning. Why do we do it to ourselves every single year? All the mishegas of cleaning. 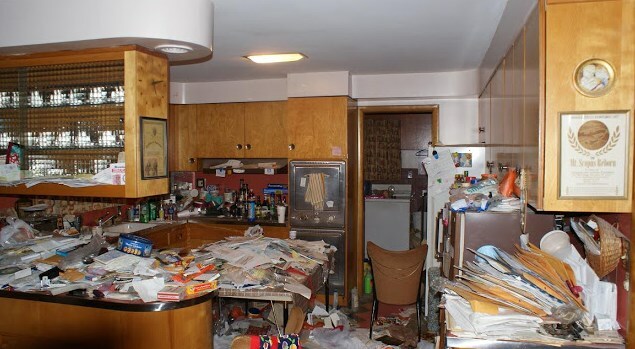 We tear the whole house apart in order to clean out all the chametz, plan the meal, do the shopping, prepare the meal. We work ourselves like …….. SLAVES! After 62 years on earth, I finally get it (never too late and never too old!). Pesach cleaning has now taken on a whole new meaning. I still don’t like it, but I now get it! How amazing is HaShem! And how better to remember then by experiencing, in some small measure, what our ancestors lived through by purging our homes. Now, if you will excuse me, I have to get back to cleaning (Ugh!). To you and your family, Chag Pesach Kasher Vesame’ach ! We hope you all have a Pesach that is full of joy, wonder and meaning! 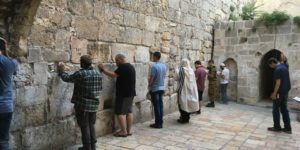 First off, I have to give a “Hat Tip” to HaRav Gutman Locks for his post that inspired me to write this piece. Pesach will soon be upon us; and, as usual, it will arrive quicker that we expected. Each year we go through the exercise of cleaning for Pesach. Each year it seems like an overwhelming and endless task (maybe not for you, at least for me it does!). Cleaning all the rooms, making sure every corner is clean, everything is dusted, everything has been scrubbed within an inch of its life, everything that needs to be kashered is done, and finally, everything is put away. But, somehow, every year, it all gets done by the last few hours before Pesach (Again, at least this is my experience.). When it is done, our muscles are sore, we are exhausted and short tempered. Remember your mother? “Hey! get that food out of here, I just finished cleaning!” “Don’t put that there, put it away!” “I don’t intent to clean this over again because you are eating chametz in your room!” And, of course, my favorite, when mom would find something unexpected, like a cereal bowl found under a bed that had milk which now resembles something akin to cottage cheese, “What? You were born in a barn!” Ahh, the memories of being a kid during Pesach cleaning! Through all of the mishegas, we find that we have somehow diminishing the joy of Pesach. So, today I am looking at the house and trying to prepare my mind to start Pesach cleaning; and hoping for some extra ambition and energy to appear out of nowhere to get it all done. Immediately my mide goes to the Big Picture. WOW! I have ten rooms to clean. That’s 1904 square feet of floor space; 17,136 square feet of interior space that has to be vacuumed, washed, dusted, scrubbed and/or kashered! Sure, there is a lot of empty space included in that number, but ….. Are you kidding me? 17, 136 square feet! I am going to need an army and a bulldozer to get this done! The only thing I am grateful for is that I don’t live in a two-story house! 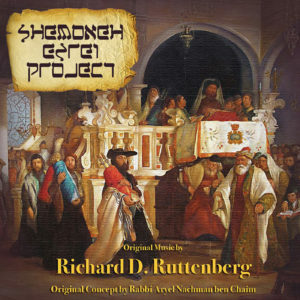 Based on the original concept and descriptions of Rabbi Aryel Nachman ben Chaim, Richard D. Ruttenberg has masterfully looked into the heart of each of the benedictions of the Shemoneh Esrei, and composed a unique piece of music that brings out the depth, emotion and passion of each benediction. The album is not intended to accompany the prayers when they are actually being recited during the prayer service, it is intended to be used to enhance the study of the benedictions to gain a deeper understanding of the benedictions.